During the winter of 2009, a couple of old high school buddies, who had spent time in the Marines, helped out a couple of homeless veterans by supplying sleeping bags to keep them warm during the cold northeast Ohio winter. 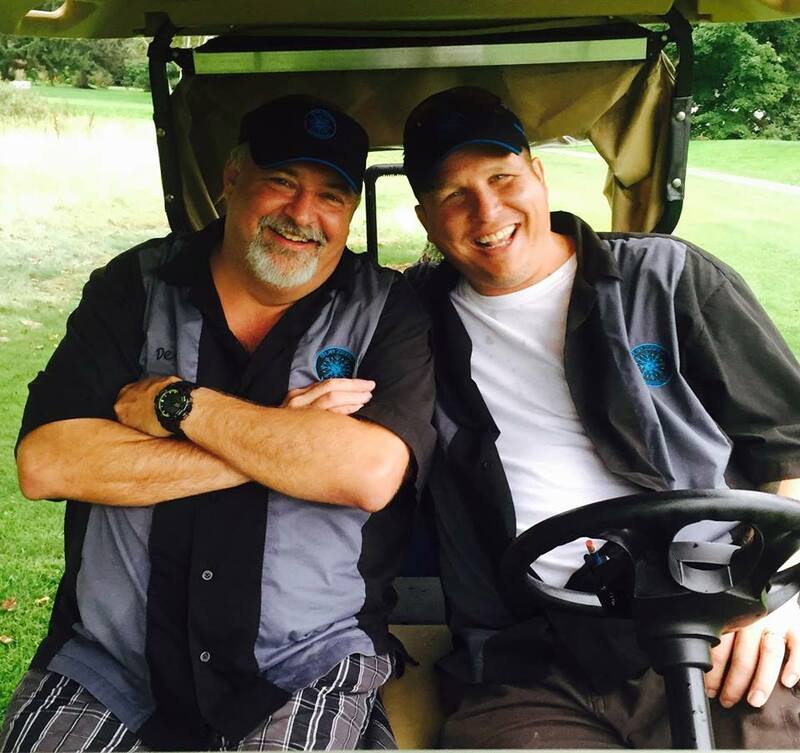 Del Bethel and Al Raddatz enjoy a few moments during the annual Sub Zero Mission Golf Outing. Al Raddatz and Del Bethel thought they could do more, so they spread the word through social media about how they needed others to help. Soon they had collected 50 sleeping bags and distributed them directly to area homeless. In 2010, the Sub Zero Mission collected more than 250 used sleeping bags as well as hats, coats, gloves, boots and other warming items. All of the items were given directly to the homeless in Lake and Cuyahoga counties. In Lake County, these items were distributed directly to homeless persons. In Cuyahoga County, distribution occurred through the Cleveland City Mission. The organization earned 501(C)3 status in 2011 becoming a recognized charity. Since then the volunteers have raised more than $300,000 and gathered countless numbers of hats, coats, gloves, boots and sleeping bags. All of these donations have gone directly to helping the homeless stay warm from Cleveland, through Painesville to Ashtabula and in other regions. The Blue Coat Missionaries now travel to Erie, Buffalo, Columbus, Akron, Youngstown and Pittsburgh annually. 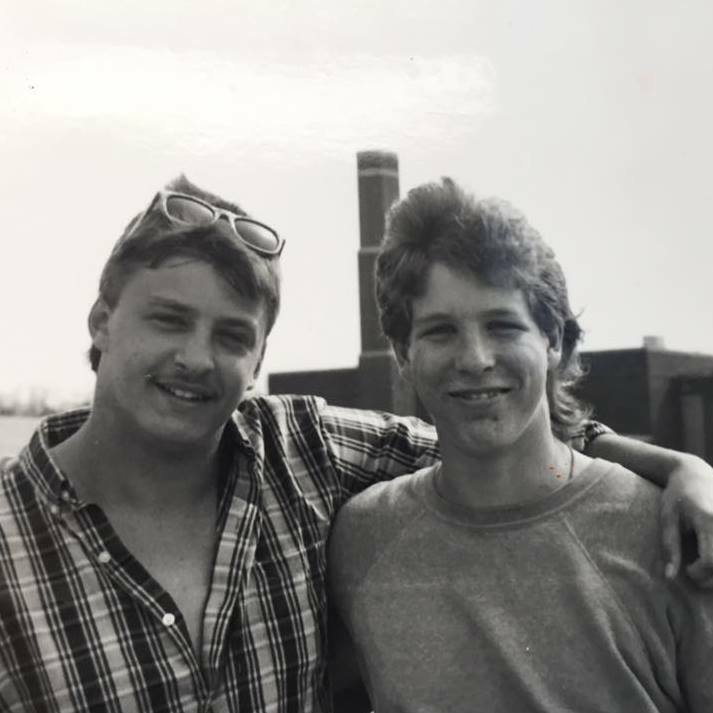 Del and Al as classmates at Riverside High School in Painesville, Ohio. Since the mission was started by veterans, there is a significant concentration of finding veterans to get them connected to services they have available but might not be aware of. In order to help the cause, the mission has an annual item donation period from October 1 through December 1 so people can donate gently used articles in order for the Blue Coat Missionaries to distribute on nights that get below 20 degrees. Companies can organize their own clothing drives and other fundraising events for the mission. You can always donate through purchasing T­shirts, hats or hoodies from SZM through events we attend or right through our website.